Okay, this is where I will actually share what I've learned/done with night photography since the majority of questions are about shooting at night. I didn't think my other post would be so long! I enjoyed going through some of my really old photos...it just shows me how important photography is so many years later! I'll try to keep this post as simple, basic and organized as possible. I find that it's really important to learn and teach from other people--it's the only way we will ever grow in our field and master our craft. On top of that, just practicing. Lots of trial and error and getting out there to shoot over and over again. First and foremost, I have learned everything I know about night photography from this man. If you don't already know his work, you should go look asap. I followed his stuff for quite awhile. He lives in Banff, AB with his family and basically shoots everything there (now elsewhere in the most remote and darkest places of the world). I was drawn to all of his beautiful mountain and Aurora Borealis photos; I would look through his portfolio for hours. In 2013, I was clicking around his website and saw that he was offering a workshop in Banff. I immediately texted Jenny and told her we had to do it. Dorothy had always wanted to go there as well, so the three of us decided we were going to make it happen. I emailed Paul and the next thing we know, J, D and I were booked to take his workshop up in Banff!! Me and D at Moraine Lake, taken by Jenny. My dreams were finally coming true and becoming a reality. Nowadays, all of his workshops are usually sold out by the time you look and are teamed with his colleague, Dave. Paul absolutely loves teaching, and I can't emphasize how much you can learn at a workshop. There is nothing like watching someone you look up to, do what they love first hand, and actually practicing the techniques and skills in the field. Best of all, it's with people who are just as passionate as you are, it's SO much fun and an experience you will never forget. As much as I hate talking about gear, it does play in big part in photography but it's not just a fancy camera. Photographers love when people tell them, "Your camera takes such good photos!!" It's a really huge compliment. Because I was shooting weddings, I already had the majority of gear that I needed for landscape/night photography, but you don't really need anything specific. Just an SLR and wide lens that stops at least to 2.8. I'm going to assume most of you that will read this in detail understand aperture/shutter/ISO, so I won't go into detail about those. A lot of it is self-taught and you can google it all. I also decided to sign up for Amazon Affiliates, bc why not? 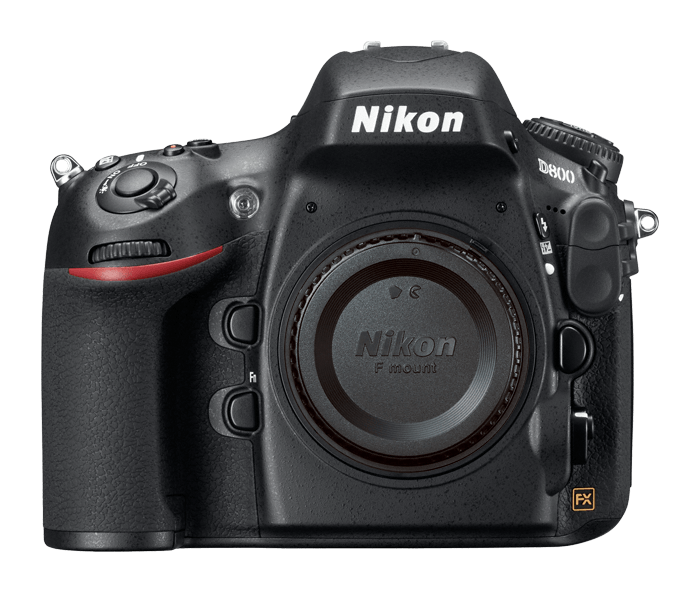 Nikon D800 body, I think it's discontinued but they have a new D810 now. Basic full frame, I only chose Nikon because I have been used to it for so many years and understand their system. Nikon 24mm 1.4, never cheap out on a lens. Good glass is worth the investment and will make all the difference. 24mm is wide enough on a full frame and works just fine. MeFOTO Roadtrip tripod. Always get a tripod with a ball head, don't settle for anything else. The Roadtrip is pretty basic, it's 3.6 lbs but I hadn't started backpacking yet. Perfect if you have a car to drive to your location. That was basically it and all that I took to Banff. I'll put all the gear under this section so that it's organized, and I will talk about technique after this. So after shooting with the 24mm for awhile, it was cool but I wanted something wider. I wanted more sky. I looked into a lens that was wider but also two in one. As much as I hate zoomies (primes forever), I didn't want to lug around two lenses every time I went out overnight. Because this was a zoomie, I had to sacrifice aperture and a teeny bit of quality. I can just always tell when it's not as sharp as a prime. :( I opted for the NIkon 17-35mm 2.8. This is my current lens I use now on weekend, short overnighters. I do have to shoot at a higher ISO than my 24mm but the wide is just so good, no distortion. I then decided to dump my big tripod bc it was too heavy. it wasn't worth it anymore for me to carry around as dead weight bc some nights it was too cloudy and I didn't even try to take any night pics. So I found this little guy, the JOBY GorillaPod SLR Zoom. Let me just say, this tripod is fine and gets the job done. Yes, I have to basically lay on the ground and shoot from my stomach but hey, it works. My most frequently asked question: what did I carry on the PCT? This cute little-hidden gem, Canon EOS M w/22mm lens. Huge thanks to my friend Ozzie for the recommendation. I basically ordered this off Amazon, got it in the mail 5 days before I left for San Diego and never used the camera until I was in southern California. Never had time to test it out nor see how the editing worked. I can't believe I was almost not going to bring a camera on trail. What was I thinking?! I just didn't know anything about mirrorless, didn't have time to do any research and didn't want to spend like $1k on another camera. I opted for the 22mm bc portraits were important to me and this stopped down to f/2, yay. Btw, I never took any night pics on the PCT (still regretting) but one night I woke up in the desert while cowboy camping and saw so many stars. I tried figuring out how to infinity focus and just couldn't get it, so I gave up bc everything was blurry. I loathe blurry pics, ya'll. Match the line up to the inifinity mark to focus. So I think the basics of night photography is just figuring out technique and focusing. You want to set your camera on infinity focus. You MUST line that line up perfectly with the infinity mark to be in focus, set it to manual and don't move it. All of your stars in the sky will be focused, and that's it. There are other ways to focus if you have subjects, but that's the main rule of thumb. I always like to shoot as wide as possible. You usually have to bc it's so dark out. The widest I'll ever go (and can) is 2.8, and I typically will always leave the shutter open for 30 seconds. I like it longer so that my ISO can be lower. Usually, that can be anywhere from 400-6400, it just depends if the moon is out or if you have light in other areas. For composition, just make sure it's straight and the mountains you want are in the frame--that's always a good place to start. There are tons of youtube videos and tutorials online about this stuff, so watching some it beforehand could be helpful. Before I head out on an overnighter, I always do my research (unless I'm lazy). I look up all my moon and sun times here and write them down on a sheet of paper. I usually write down the times for the day after and before I'm out to have a better idea. It's just good to know around what time the sun/moon will be rising. Sometimes if I plan on taking intervals, I'll google some websites and write down some exposure times to practice with bc I don't know what I'm doing. It's nice to have notes on hand bc we don't have internet in the wilderness. It's also good to research locations. You want to choose any area without light pollution, though some glow from afar can look really pretty. And if there's a possible northern lights show, you best be researching the forecast. So in order to get to these really beautiful remote locations, you need to hike out with all of your heavy camera gear. It's always worth it in the end, always. The higher you climb, the better the stars, the better the peaks. The hardest part will always be having to crawl out of your tent in the middle of night, especially in 12-degree weather. Pack extra layers for when you come out bc you'll be frozen while you're idling when you shoot, so it gets cold fast. I set an alarm for every 2 hours usually from 11p-4am to get up, depending on what the sky is doing. I like to shoot before and after the moon comes out. That's why it's nice to have the times on hand so I know when to come out or not. Sometimes if it's overcast, I will just peek outside and see if there are any stars. If not, I'll let out a sigh of relief and go back to my warm bag. And if the sky is unpredictable, sometimes I'll go set up my tripod somewhere and set intervals for throughout the night and hope at least something comes up. I'll check it in the morning, hoping the wind/some animal didn't knock it over, but the lens is usually fogged up most of the night. Me shooting in Banff lit by moonlight. This is basically what night shooting is like: waiting around for your camera to take pics while you sit in a million layers, not very glamorous. Photo by Jenny. I also believe post-processing plays a huge part in photography. I didn't learn how to edit until I was in college and was forced to learn it bc that was the standard for getting photos compatible with print. I always never liked editing and was annoyed when all the young people I met who got into photography with digital were these tech savvy Photoshop pros. I just couldn't keep up with the new technology. But please shoot in RAW, always. It really makes a huge difference in quality and adjustment in the end. My favorite part is coming home and loading all the photos on my computer. There's so much to see and bring back once you're at the screen. I love how every trip is always a surprise, you literally never know what you're going to get that night! So much fun. For software, I edit all my raw images in Lightroom. For presets, I use a combination of VSCO and Priime. I also believe creating a style of your own that portrays your personality is important. Who cares if someone else doesn't like it, as long as you think it looks good in your eyes, it's all that matters. Editing night skies is fun bc you can adjust colors to your liking and play around with the white balance and tint. I think it's really hard to learn how to do these things without going out and trying it out over and over again until you get the hang of it, but I wanted to share some images and its data. I'll try to add variation so you can see the difference on exposures. Hopefully, it's helpful! Paul in Two Jack Lake in Banff, AB. Nikon D800, 24mm, f/2.2, 10 sec, ISO 1600. Dorothy at Bow Lake in Banff, AB. Nikon D800, 24mm, f/1.4, 30 sec, ISO 800. Gothic Basin. Nikon D800, 24mm, f/2.8, 30 sec, ISO 400. The Enchantments. Nikon D800, 17mm, f/2.8, 30 sec, ISO 3200. Blanca Lake. Nikon D800, 85mm, f/8, 9 min, ISO 800. Camp Muir at Mount Rainier. Nikon D800, 17mm, f/2.8, 30 sec, ISO 3200. Artist Point at Mount Baker. Nikon D800, 17mm, f/2.8, 30 sec, ISO 1600. Paradise at Mount Rainier. Canon EOS M, 22mm, f/2, 30 sec, ISO 800. Okay, I hope that was informative and helpful. I know there's SO much more detail and specs to get into, but it's really hard typing them out. I just wanted to touch on the basics, and you can't really learn unless you get out there to try it out! Please, please ask me questions. I'm thinking maybe someday I should lead a backcountry workshop in western WA and actually work with people where we can shoot together. Photography is one of those things where you have to learn by doing. Let me know if you'd like me to address another topic that would be helpful. Until next time!